These little critters are fun to make, and fun to play with once you're finished. 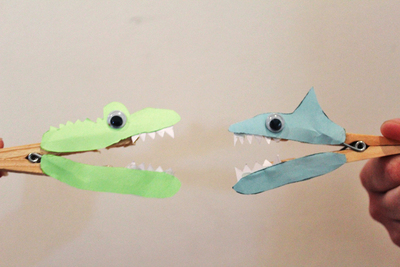 We made a crocodile and a shark, but you can make any kind of animal or monster you like. Card will work better than paper because it can hold it's shape better, but paper will work if it's all you have in the house. First draw your critters. You need two separate halves. 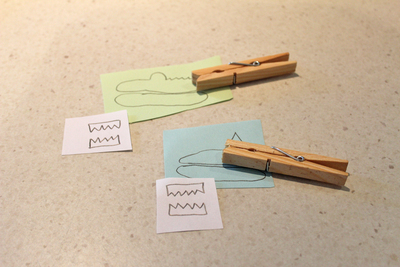 The bodies will be stuck halfway along the pegs. 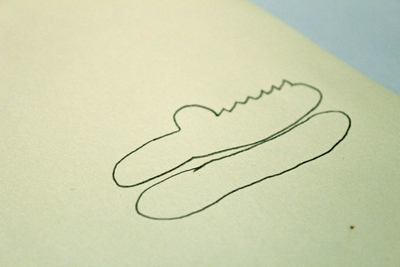 Draw some teeth on white paper. Cut out your animals and teeth. 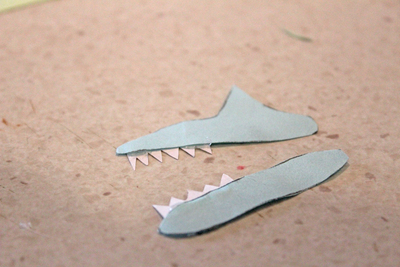 Glue the teeth onto the back of your animal shapes, so that the sharp teeth poke out. 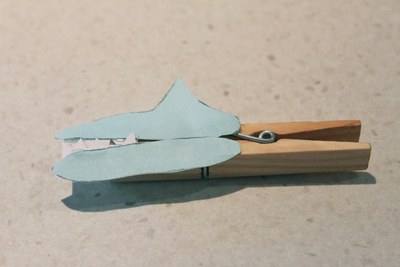 Open up the peg, and glue on both the top and bottom halves of the animal. 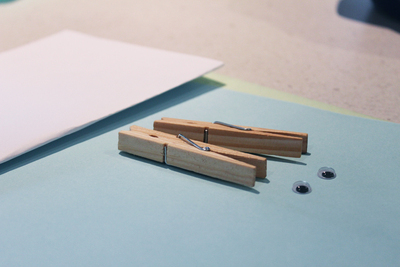 Glue on a googly eye. 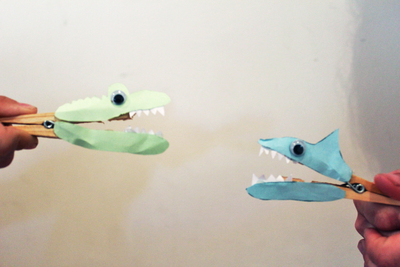 Now your critters are ready to chomp. 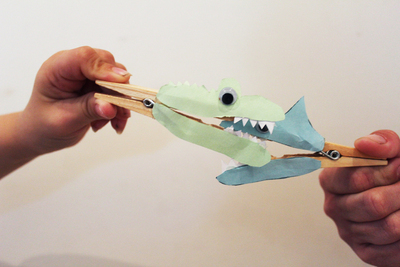 Make sure you share any of the critters you create!